78 Klanten hebben dit product met 5 Sterren gewaardeerd. Daarvoor hebben 78 Klanten geen Text geschreven of in een andere taal commentaar geschreven. 28 Klanten hebben dit product met 4 Sterren gewaardeerd. The RodeLink Filmmaker Kit - a great deal for the money! I've been using different wireless lavalier microphone sets for some time now, mostly Senheiser G3 series and Lectrosonics SMB E01 series. 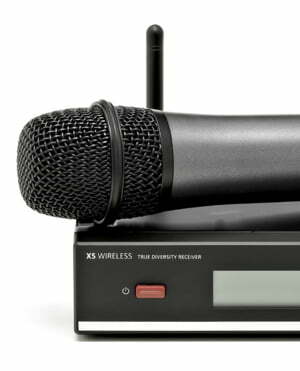 The biggest problem with wireless microphone kits for me are the problems regarding signal and interference as I have had problems with both the Senheiser and Lectrosonics. In this case it is obvious that the future lies in digital signal bandwidths. The RodeLink has proven to work seamlessly and I have had no problems with it so far. For now I'm using three RodeLink sets together on different channels and the reception of signal is excellent. Also I am really pleased with the lavalier microphone provided by the kit. The capsule is nice and small, a lot smaller than the senheiser, but not as small as the DPA 4061. Also the Rode Invisilav microphone mounts are a great tool in hiding and using the microphone on film sets and its various uses. It is a MUST HAVE as it reduces the microphone handling noise to a minimum. When comparing the Rodelink to the previously mentioned wireless sets, the first thing one realises is the size of it. The Rodelink is quite big and bulky and may prove to be hard to hide. The overall build quality is satisfactory as it is made of hard plastic and feels sturdy in hand. As for the features the Rodelink is pretty straightforward, a simple on/off button and some other vital controls on the receiver. 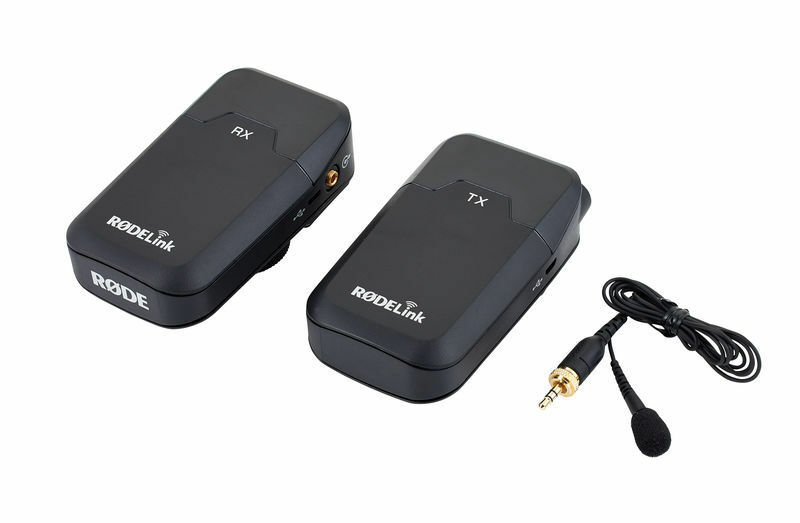 I would recommend the RodeLink to everyone in need of a wireless lavalier micorphone kit. The Senheiser G- series has long been an industry standard for many and now I honestly think that the RodeLink is far superior it! Overall a great deal for the money!